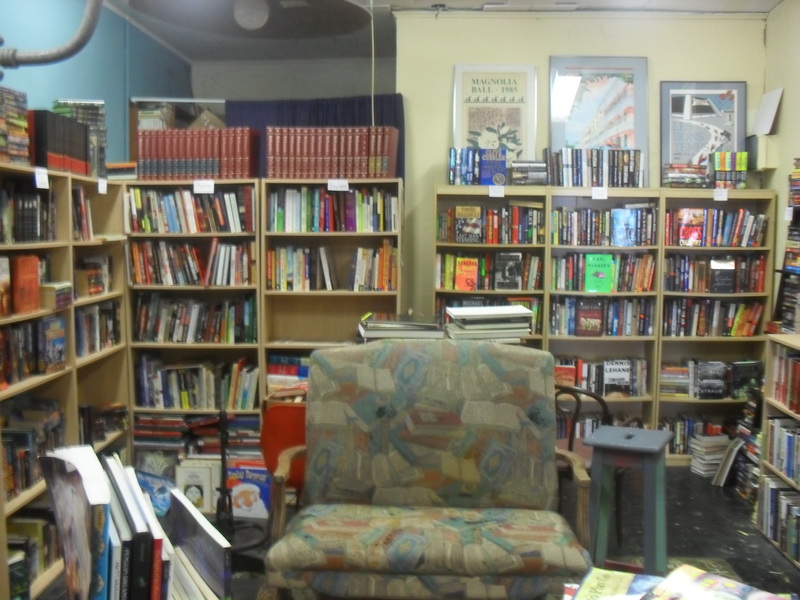 Blue Cypress Books isn’t exactly on the beaten track traditionally favoured by tourists hanging out in The Big Easy. And by that I mean it’s not located in the French Quarter. While venturing more than three blocks from Bourbon Street may seem scary, I can 100% guarantee you will not be the only hungover person riding the streetcar Uptown. No one is going to bat an eyelid at your dishevelled, dehydrated, disorientated appearance. The people of this city are pretty much unshockable. So take a deep breath, drag yourself out of bed (providing you made it that far), grab an energy drink at the CVS conveniently located across the street from the stop on the corner of Canal and Bourbon and hop on a streetcar. Riding the streetcar epitomises everything New Orleans stands for; it will be slow but never tedious, you will likely feel lost but not panicked, your fellow riders will be as interesting as the changing scenery casually slipping by through the open window. If you are visiting Nola any time from April to September this breeze will absolutely save you. I used to ride the streetcar round and around in a loop just to stay sitting in that breeze. And to make everything just that little bit easier, Blue Cypress Books is located just down the street from the last stop, so you don’t even have to worry about getting off at the right time. Now you’re off the streetcar, head straight ahead down Oak Street. It’s a pretty cool street with the usual dollop of hip coffee shops, a tobacco and ‘herb’ store and a bike shop called Nobs (less funny in writing). Blue Cyprus is about half way down. 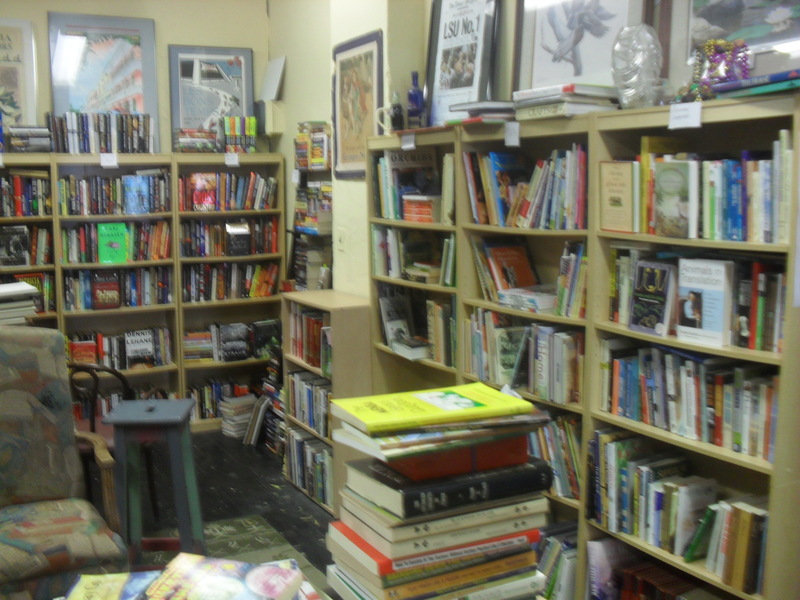 There’s usually a box of discount/free books sitting right outside and the shop is painted green. Even hungover, you can’t miss it. Inside, this beautiful (air-conditioned) store has a huge selection of second-hand books, ranging from fiction to religion to Louisiana to photography to children/young adult. I could (and have) spent hours just browsing through the titles. The staff are a friendly and accommodating, letting you linger amongst the shelves in peace and never giving off that awkward vibe that can sometimes occur when you’re the only customer in a store. There are even comfy chairs in case it all gets too much and you just want to sit down and read in the cool for a bit. The prices are beyond reasonable and you can start a buyer stamp card, which basically works out at buy five get one free. And they don’t only sell books, they have a retro games and puzzles section (on my last trip I found and subsequently bought an Obama jigsaw which is probably one of my top 5 purchases/investments) and possibly my favourite items, a whole bunch of vintage New Orleans postcards for just 50 cents each. Oh and if you’re not already half way to the streetcar, they have a live-in book shop cat. Bourbon who? !